BOSTON, MA (August 2, 2017) WinnCompanies, an award-winning multifamily property development and management company, last night brought together thousands of residents, community groups and public safety agencies across the country for the annual celebration of National Night Out. An estimated 30,000 residents from 121 apartment communities managed by WinnResidential and WinnResidential Military Housing Services attended celebrations to promote community partnerships and neighborhood spirit. 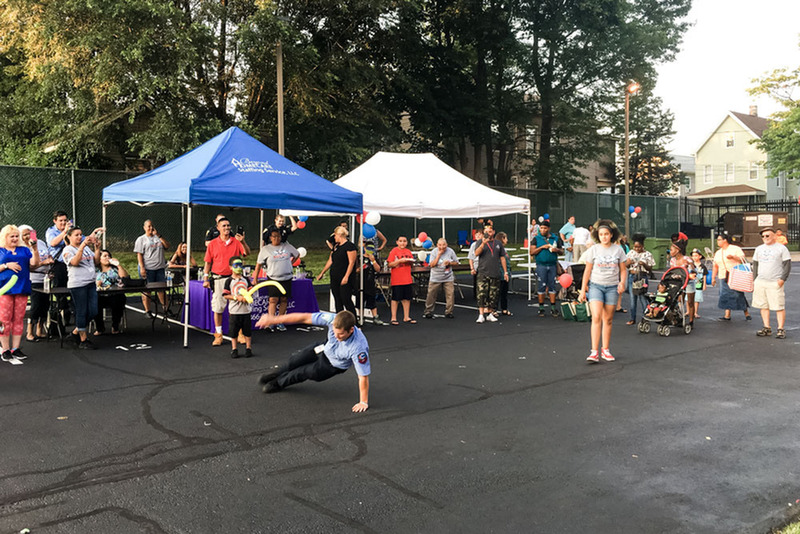 The National Night Out events occurred August 1 at Winn-managed properties in 20 states and the District of Columbia, including activities at 107 multifamily communities and 14 military communities the company manages. National Night Out provides an excellent platform for WinnCompanies to demonstrate our commitment to having a positive impact on the communities in which we operate, said Gilbert J. Winn, CEO of WinnCompanies. Several of our communities have been celebrating National Night Out for more than two decades and it has become an annual highlight for many of our residents. This year's exceptional turnout is a result of the year-round hard work of our team members, who strive to build a culture of respect and safety at each of the properties that we manage. The event was a huge success with a phenomenal turnout of approximately 300 participants, said Kendra Hudson, Property Manager for Castle Square in Boston's South End neighborhood. 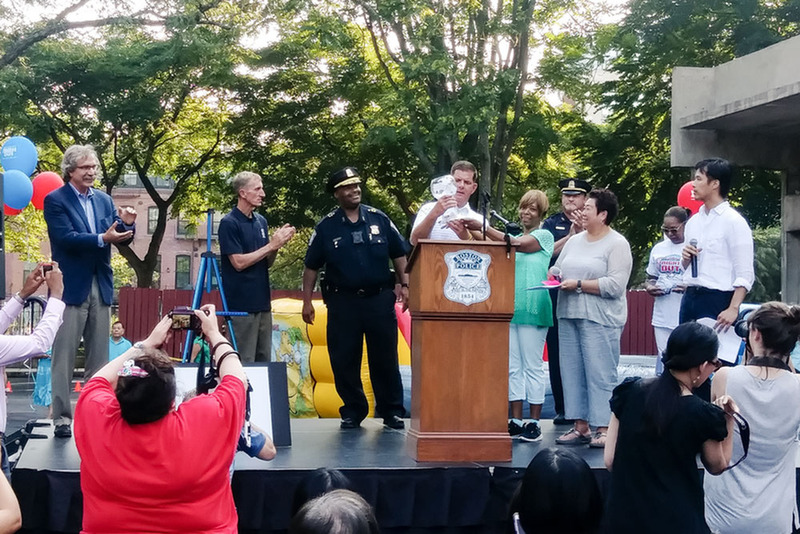 There was something for everyone with great food, live entertainment and lots of activities, plus the Castle Square Tenants Organization presented Boston Mayor Marty Walsh and Boston Police Commissioner Bill Evans with an award for their commitment to diversity. This year's event had a great turnout with approximately 300 residents and excellent participation from the state police department, local police department and local fire department," said Ashley Torres, resident services coordinator for Casa OtoÃ±al in New Haven, CT. We also donated 100 bookbags filled with school supplies to kids who attended the event. National Night Out is a great opportunity to let the people in this neighborhood and the kids in the community know that the police are here to help them. The event is very popular at privatized military communities managed by WinnResidential Military Housing Services in a joint venture with Lendlease. 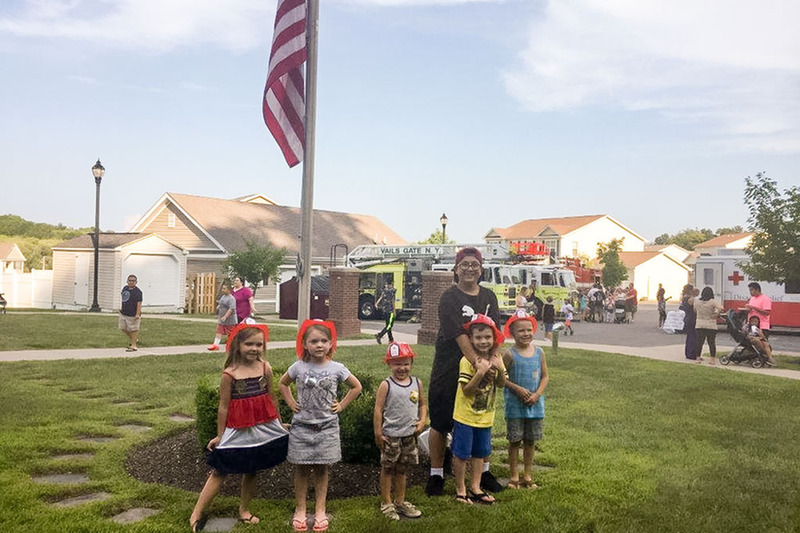 This year's National Night Out was an all-around fantastic event with a great turnout from both residents and the town, said Kristen Nelson, Property Manager for Atlantic Marine Corps Communities at Stewart Terrace in New Windsor, NY. We had participation from the local Fire Department, Police Department, Red Cross, and the 105th Air Wing from Stewart Air National Guard Base! A good time was had by all! National Night Out was created in 1984 by the National Association of Town Watch as an annual campaign to make neighborhoods safer, better places to live. In 2016, more than 38.5 million people from 16,142 communities in all 50 states, U.S. territories and military bases participated in block parties, festivals, marches and other events designed to create stronger cooperation between residents, public safety personnel and public officials. WinnCompanies manages more than 100,000 homes at more than 580 properties nationwide.